If you are looking for a premium dishwasher, then Miele and KitchenAid should be at the top of your list. Both are excellent, but there are numerous differences, especially if you have not been in the market for a few years. 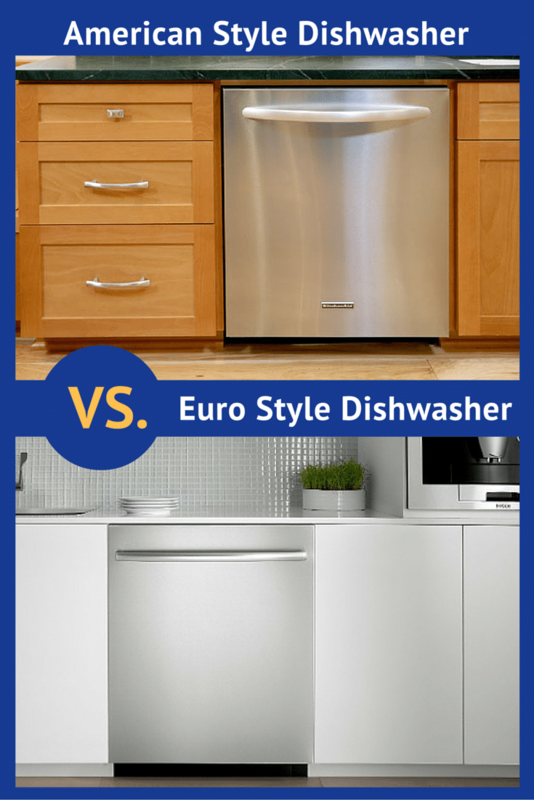 We will look at both brands then compare a few different dishwashers. 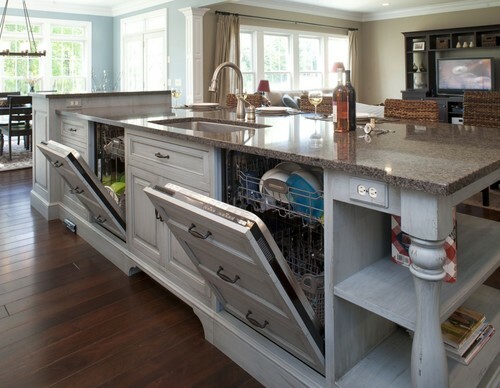 First we will look at the blurring lines between American and European style dishwashers. 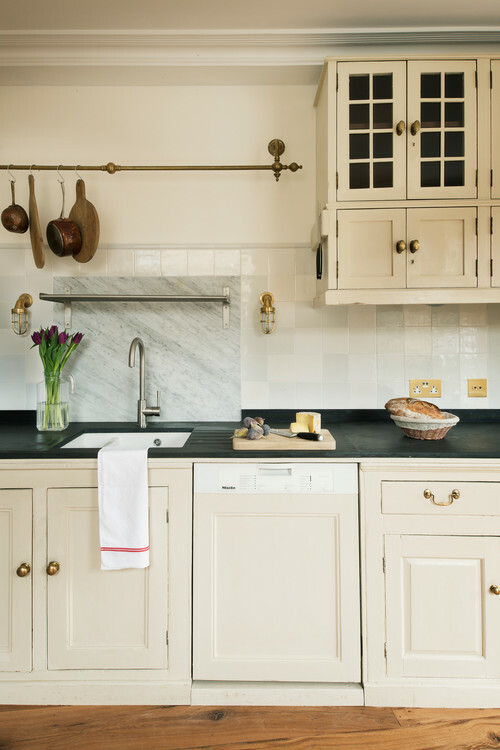 One of the reasons you may have chosen a European-style dishwasher over the American-style dishwasher in the past is quietness. American dishwashers, like KitchenAid, used a noisy soft food disposer while the Europeans used a washable and noiseless filter. To solve this problem, KitchenAid released a new line of dishwashers with filters in the bottom for the quieter decibel ratings of their European competition. KitchenAid also included their high-end glide racks at a more affordable price as well as a third cutlery rack for silverware. So, American and European have started to mirror each other. Now, let's look at the brands. Miele is the largest family-owned appliance company in the world, headquartered in Germany. They manufacture almost every component for their appliances including the controls. Each unit is tested before leaving the factory. In a world of outsourcing, Miele designs, engineers and manufactures all their equipment in one factory. An average appliance lasts 6-10 years, Miele designs their machines to operate for 20 years. Miele is known for reliability, simplicity of design and a very different drying cycle. For years, KitchenAid has been a well-known brand in the consumer market. KitchenAid makes a solid, reliable, American-style dishwasher with a variety of features at a range of prices. KitchenAid is an appliance brand owned by the Whirlpool Corporation along with Jenn-Air, Maytag,Whirlpool, and Amana. 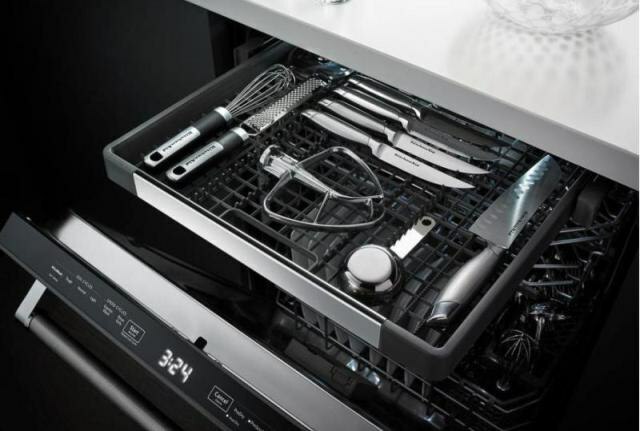 American-style dishwashers are known for accommodating the needs of the American family, offering a large capacity, heated air dry cycle, and adjustable tines to accommodate a wide array of bowl and plate sizes. One of the reasons people choose a European-style dishwasher over the American-style dishwasher is that previously European dishwashers were quieter than American models with a hard food disposer in the bottom. 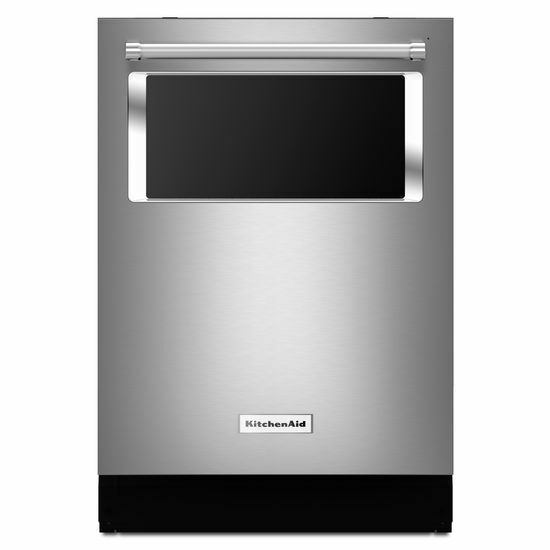 I will compare the KitchenAid and Miele’s best dishwasher models. You can buy KitchenAid starting at $599-$649 and Miele starting at $999 with less features but similar interiors. ProDry(TM) Option: Heated Dry with Fan assist. ProWash(TM) Cycle: Determines the appropriate cycle for washing, makes real-time adjustments for the best performance. Many will choose the KitchenAid for its heated dry option. Also the fact that they are assembled, (although not manufactured) in the United States. KitchenAid tends to also have year round rebates and or package deals. Miele does not. I’m not sure if everyone is going to be a fan of KitchenAid's see through window. (Remember you can buy both brands for far less). KitchenAid is good, but Miele is better. Miele's dry cycle is the best in its class. In the top of the line dishwasher, there are two ports for air to enter on both sides instead of one, so the steam is disspated to water much quicker. The door automatically opens for greater drying. In addition to the dry cycle is the reliability. KitchenAid is pretty good at about 18% service calls in the first year. Miele is 7.9% and one of the most reliable brands at Yale. This particular Miele also has a standard 5 year warranty. Before you spend at least $1,000 for either, there are a couple other considerations. Buy the Miele with panel, because it will look flush and not protrude from your cabinets like this. You will pay much more for a Miele as of July 2016. They have set higher nationwide delivery and installation rates than other companies. KitchenAid also will have aggressive rebates, so the price between the two could be substantial at various times of the year. Miele is the better dishwasher. However, KitchenAid may be an irresistible value. Want to learn more about Dishwashers? Download the Yale Dishwasher Buying Guide with features, specs and inside buying tips to all the brands. Over 170,000 people have read a Yale Guide.